Recently I had to set up a network experiment using three nodes, and I had only one machine, and I was able to successfully set this up using three VMs on VMWare Workstation. This is how I did it. Three VMWare nodes running on one machine. This is the network topology to configure. I need the client to access the outside world only through the NetServ router. First, I downloaded a Fedora 10 VMWare image from thoughtpolice.co.uk and configured it as I needed. Then I made three copies of it. I then created a few virtual network configurations to get my network topology right. A screenshot of the Virtual Network Editor is below. The Virtual Network Editor showing the three VMNets used in the experiment. I have three physical network adapters. I configured each of them to map to one particular VMNet. VMNet0 is bridged to the first physical adapter (that is my host machine). The two other VMNets – which are bridged to the physical adapters – are the ones used by the public network adapters for the Content Server and the NetServ node. 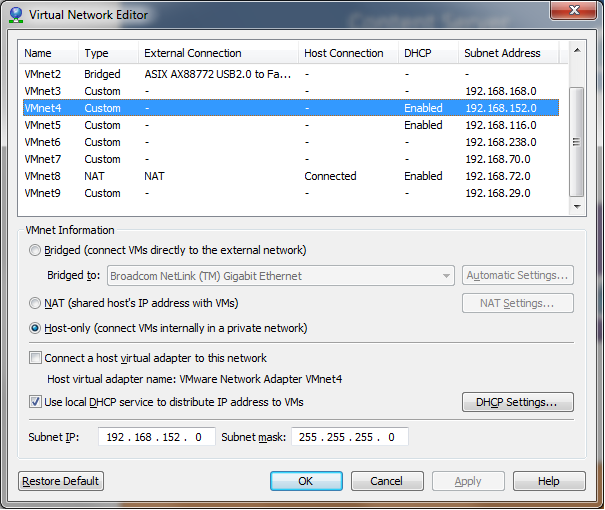 For the private network, I created host-only VMNet with DHCP service, which basically provides a private network. The private network adapter for the NetServ node and the Client are mapped to this VMNet. 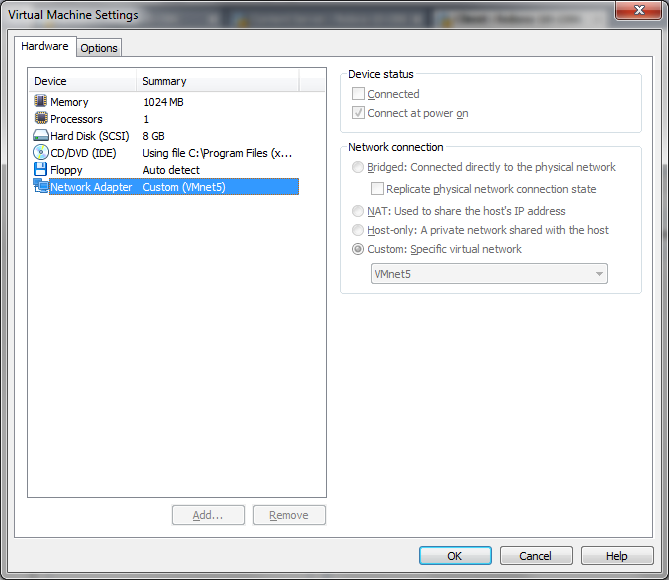 Settings for Client VMWare network adapter. 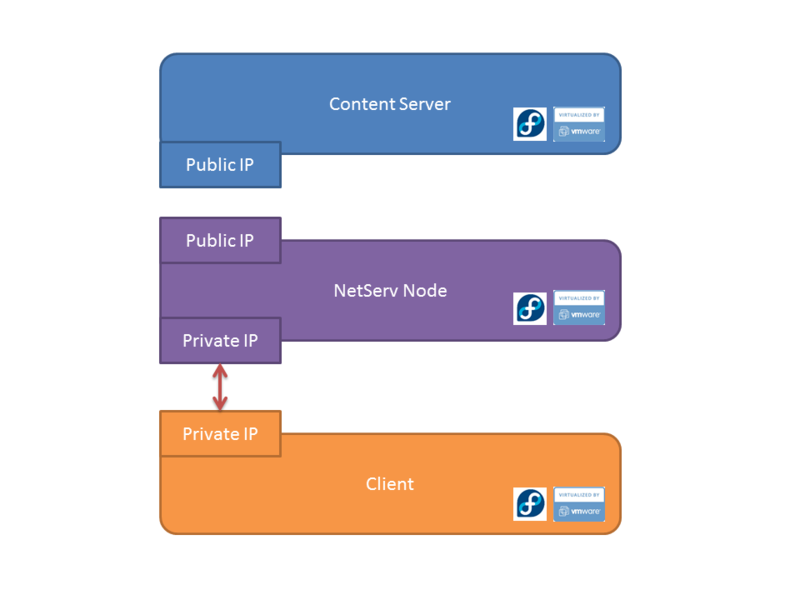 Content Server and Netserv Node can connect to the public Internet. Client can only ping the Netserv node’s private IP address. Now to get the full network topology working. and add the NetServ/gateway machine as the default DNS server. And that’s it : you should have a complete network topology up and running! Try a few pings and opening a few websites, and it should all work! This is richhpal doing MCA . I am developing a port-scanner in java as a mini project.i m using jpcap library.so please giude me how to configure TCP packet to get responses frm target.